Cetaceans spotting in the Mediterranean Sea on board of the schooner Aleph. 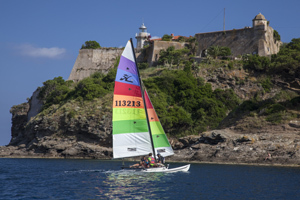 You will sail in the Elban seas e you will stop in the stunning inlets of the island to have lunch and have a swim. With a little bit of luck there will be the possibility to spot the dolphins. Cost: 250,00 euross. kids and optional adult partners. 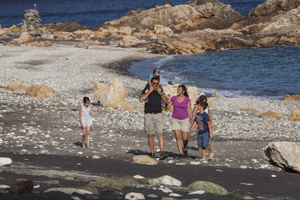 A nice and super-easy walk along the beautiful and panoramic street of the Seagull’s shore from the village of Capoliveri until the mines of the Mount Calamita right on the footprints of the old miners that used to go to work on foot. 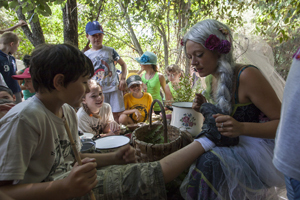 Folklore, food and fun for everyone will be the friends of this excursion. 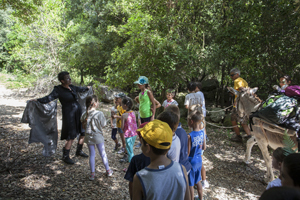 Guided tour of the museum & little trekking. Guided tour of the Mineralogic Museum Luigi Calleri of San Peter in Campo and excursion of the Grotta d’Oggi, famous site of Tourmaline. 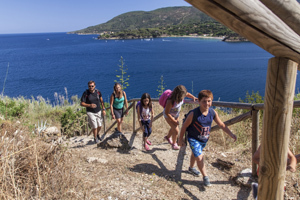 Archeological Civic Museum of the Minerary District of Rio nell’Elba - Guided family tour to discover the archeological Museum of the Minerary District of Rio nell’Elba throug histories related to the territory also observing views onto historical key places. The already famous world MTB competition dedicates a day completely focused on the concept of bike for kids and families. 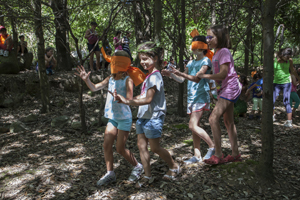 The young ones and the parents present will be involved in playful- sport activities, shows and entertaining. Food and music will be the frame of this funny eve’s race day. 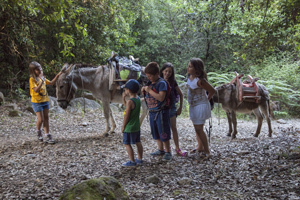 A field trip to discover the aromatic plants belonging to typical flora from islands of Elba and Tuscan Archipelago. 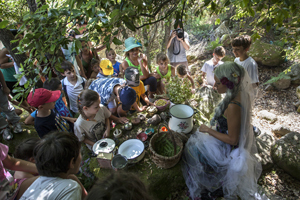 From plants identification along Elba's trails up to their use in traditional and modern nutrition and phytotherapy, this event promotes the knowledge of the “smelling treasure” of the Macchia Mediterranea, the most important chemicals expressed and their safe and conscious use.The event includes a hike along selected trails with a professionist environmental guide, followed by discussion, the visit oft a botanic garden and practical activity dealing with processing and use of most important plants, carried out by chemist and herbalist specialist graduate. 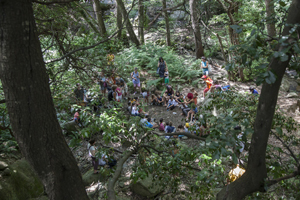 cheeriness, sociability, conviviality are the basic ingredients of this folkloristic riesan spring. 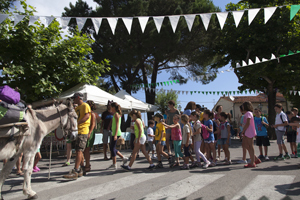 The donkeys of the various districts will be horsed towards the victory of their jokeys in a playful day and rich in enogastronomic events, music and joy. Guided tour for younger and older ones (kids in school age, youngsters, families, groups) at the Sea Museum. It will follow a laboratory on the water archeology and on the hidden treasures on the bottom of the sea, to learn how to work as a real marine archeologist! 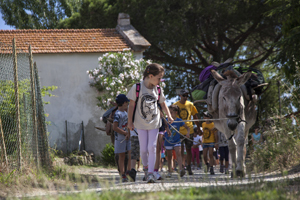 The agricultural company "rural presents" waits for you to take you for a didactic farm walk during the which younger and older ones will hbe able to discover from the stable to the milking room, meeting the animals and the job of the farmer. At the end of the itinerary the kids will receive a rural present. Price: kids younger than 8: 5 euros; from 8 years ols and adults: 10 euros. Pastels and small pieces of mineral will be given to the kids that once have turned them into dust they could realize an elaborate that is a subject to paint on paper. 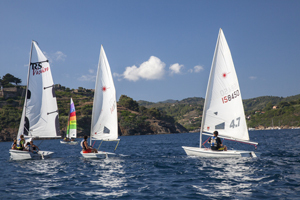 A national renowned event the Elba takes part of every year claiming his numerous natural and landscaping resources. 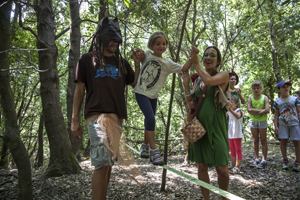 Guided excursions in the green heart of the island through history, culture, habits, costumes and enogastronomy. "Watersport center" of Morcone at the bathouse Mandel 2 offers a test excursion to learn the marine culture and the windsurf drive. The school VDWS known at a global level offers materials and specific teachings for the younger ones with manuals and specific gears. The test lasts 1 hour, half theory and half practice. 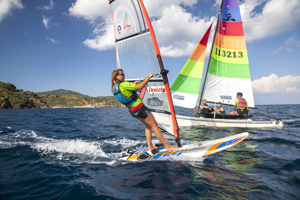 Who wants can continue the course with the release of a windsurf licence. The coast is 100 euros for 4 lessons of 30 mins from 6 to 10 years, and of 140 euros for 4 lessons of 1 hour for boys from 10 to 14 years. Licence giving test: 30 euros. From the milk to the cheese and from the fleece to the ball. The milk and wool working phases according the old traditions with a small souvenir to bring home. Price: Kids younger than 8 pay 8 euros, older ones pay 15. Guided tour for kids at the Sea Museum. it will follow a lab on how works a real archeologist on the field and on how an archeological deposit is formed.. who will make it to bring to light old treasures? Accompanied by marine biologists and diving instructors, your kids will try their first underwater breathe, at few meters under the surface, in total security. 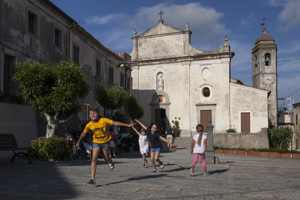 Capoliveri, old miners town, dedicates an anniversary to the men who made great this village. 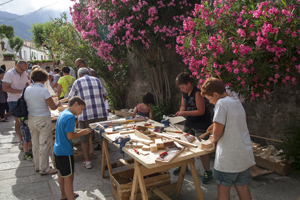 Three days of music, folkloristic shows and enogastronomic events throughout the village’s streets to refind the old spirit that once existed, the pleasure of being together, of the sharing. A by now cyclic recurrence on the beaches of the minerary district of Rio Marina. 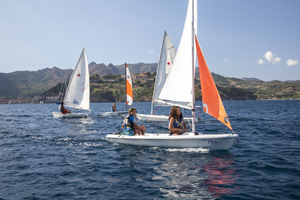 Playful-sportive activities regarding sea and sailing that involve kids and adults in an entertaining , folkloristic and enogastronomic context. For the cowboy and country atmosphere lovers a really unique event in his kind that only in the magic bay of Lacona could have been set. Music, theme games, a lot of barbecue and good wine in a day for older and younger ones in order to live again the Far West atmosphere. One thousand and one excursion to discover one thousand naturalistic treasures guarded in the towns of the island in company of the personal expert of the Tuscan archipelago National Park. Guided tour for adults and children (kids in school age, youngsters, families, groups) to the Sea Museum. It will follow a little treasure’s hunt: through the game and the riddles to solve you will meet the Museum and the extraordinary objects belonging to the passengers of the Polluce’s ship. An excursion through the natural scenarios of the Lacona Bay to discovery its features and secrets. 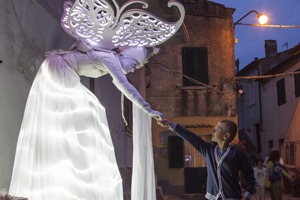 12 teachers, 4 nights of social dance, 30 hours of workshop, 5 disciplines, 3 levels. A weekend of sun, sea and swing. Lindy Hop, Boogie Woogie, Jazz Root, Balboa and Aerials lessons. International renowed teachers. Amazing night at the moonlight at the rhytm of overwhelming live bands. The association Tuballoswing is keen to present the fifth edition of the Elba Swing Festival! Snorkeling. Pomonte. Accompanied by an expert guide we will leave swimming from the Pomonte beach and we will reach, after approximately 150 meters, the Elviscott shipwreck sunk in 1972, with thousand of fishes living inside it. Last 2 hrs approxitamately. Level: easy . 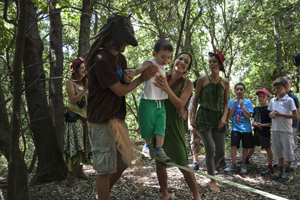 - Kids with adult only - Cost 15 euros for adults and 8 euros for kids up to 12 years old. Naturalistic hiking. 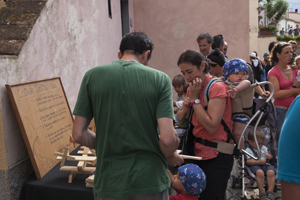 We will leave from the medieval village of Marciana following the Via Crucis path that leads us, between chestnuts trees and mediterranean maquis, to the Madonna del Monte sancuary, where we will have a snack break, and then to come back in town. 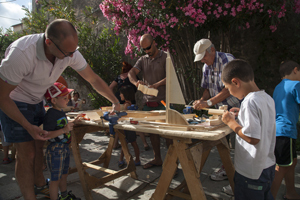 Last: 3 hrs ; Level: easy - Cost: 20 euros adults, 10 euros kids. A sport that is spreading more and more between the endurance sport lovers. 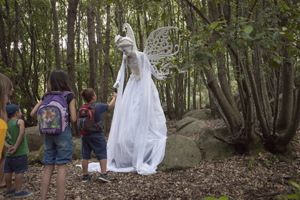 For the very first time the Elba destination organizes a paradisiac theater for the setting of the agonistic events that will have a specific focus dedicated to children. An awesome way to get closer to this amazing sport activity. 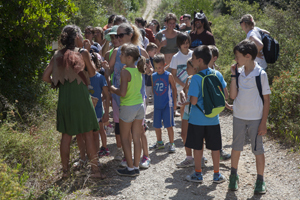 With the guide of the expert staff of the territory we will discover the nature secrets on the Lacona’s beach dunes and at the shadow of its pines an activity that will satisfy the curiosity and the will to learn of children and families. Do you know how jellifishes are made? Why some of them sting and others do not? And how do tehy move? Let’s discover all of them! 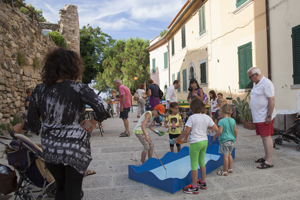 Short guided tour at the Sea Museum of Capoliveri, for kids and adults , to discover which treasures are found underneath the sea abysses! Have fun with us to answer the questions and to complete a colourful crossword! Guided tour of the museum & little trekking. Guided tour of the Mineralogic Museum Luigi Calleri of San Peter in Campo and excursion of the Grotta d’Oggi, famous site of Tourmaline. Last: 3 hrs. Level: easy- kids and optional adult partners. Price: 20 euros Adult 10 euros kids under 12 years old. Pins and mask for an excursion for all, easy and entertaining during which discover the secrets of the sea backdrops of teh Lacona bay. On board of the Aleph, to get in touch with the fascinating sea world and the cetaceans that will be therefore followed, to allow the data collection with the collaboration of the participants that will become an active part of the field investigations and of the ship life. Discover the charm of a night under the stars, of a swim in crystal clear waters and of visiting amazing islands immersed in real natural paradises. 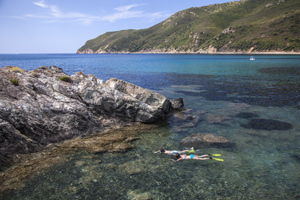 Every Tuesday and Friday to 30 August, Biowatching on the beach from Elba, Pianosa, Giglio and Capraia, instead. The contest is the relational one and the atmosphere is the playful. The foundamental didactic tools to start from are the voice and the moving body and later the progressive introduction of objects and instrument in the respect of the multiple expressive possibilities of the child. The metodology uses tonal, modal and rhythmic proposals delivered with variety, complexity, contrast, empathy, expressiveness and respect. It treats the musical meeting as a ‘performance’ in constant evolution for the contribute of everyone in a collective and circular relation. To give and to receive. 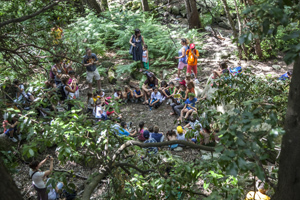 Activity in the woods, with many listening laboratories; listening of the landscape coming sounds with the realization of a drawing made with charcoal and painted with the nature colors (leaves, terrain, flowers…) Discovery activity, in the pursuit of the musical instruments. Laboratory with the presentation of a doggerel by Gianni Rodari “ THE BIRDS’ SOUNDS”, graphic representation, laboratory on the voice and , to conclude, voice and instrumental orchestra. 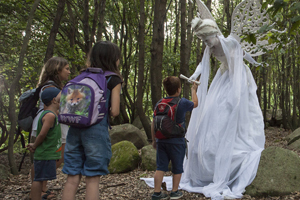 Three days of discovery between fantasy and nature, between sea and entertainment. It will be a unique experience the one that eight children can realize on board of the " no problem" , a sailing boat of 16 meters that will sail the Elban sea giving them images and emotions to live. We will leave from Porto Azzurro, navigating along the shore, spotting dolphins and wales, with a special crew that will take them to discover the nature of the island with land excursions too. 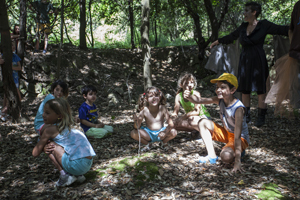 To lead the kids in their trip there will be Chiara, the teacher of a special school, the one of dolphins and sea turtles. Stefano, a boatswain master of ships, seas and paths. The capitan Lucio taht knows everything regarding routes and winds but knows also a hundred tales of mermaids and sea monsters. With them there will be Simona, the board chef that will cook for all the crew during the three days of the journey. 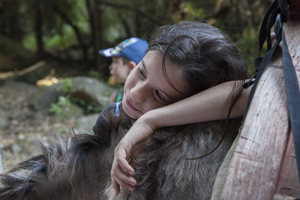 A unique trip where the board diary will take, with the words, the memories and the images and where the kids will wait the nature rhythms snapping with the memory dawns and sunsets. The first all night-out entirely dedicated to kids and families. Events, activities, games, food and music for the longest summer night. We are in a park we have so many colourful and different-shaped fishes that we may spot during our swims, but how can we bring their memory with us at the end of the holiday? Let’s discover it together! 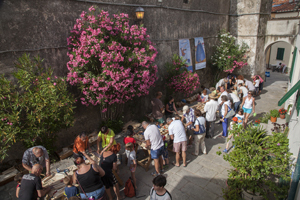 At the discover of the oldest Elban village, walking through the old streets where are opened the old masters shops, to then discover the Pisan fort treasures. A day among history and arts, knights and dames! The island as you have never seen. From the sea, in kayak. 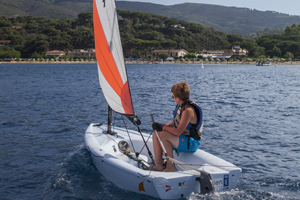 With Sea Kayak Italy you can make the most out of the Mediterranean charm of the island mate of unforgettable holidays at a close contact with a natural environment thatl alternates relax moments to open air sport activities. The experience of learning the basics of the sea kayak, the emotion of the trolling, the magic of the night camp, the link kayak-trekking to seize the least accessible side of the Elba...on the sea as on the land. Trekking and snorkeling. Viticcio. Together we will leave from the square right in front the hotel Viticcio, after few hundreds of meters on asphalt we will take the trail n.49 that, immersed in the mediterranean maquis, will lead us until the spectacular beach of Forno. Arrived onto the beach we will learn to use the mask and the snorkel to observe the magnificent backdrops of the Elba island. At the end of the activities we will get back to our starting point. Last 3 hrs approximately. Level: easy . Sea Kayak. Marina di Campo. A night excursion on a silvery sea, we will navigate along the shore accompanied by the moon light between rocks and inlets. Last: 2,5 hrs. Level: easy . How many animals are there in the sea? 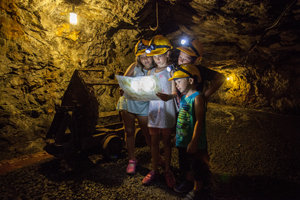 Guided tour at the Sea Museum in company of an archeologist, that will make you immerge between the treasures of the Polluce ship and will go through the mysteries linked to his wreck. Have you ever explored between the rocks the many animals that live a few centimeters below the surface? 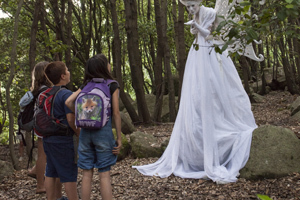 Let’s go to find them and meet them together and listen how many stories they tell us.